Compressed air in industrial application contains in 1Nm3 more than 100 million of polluting particles. 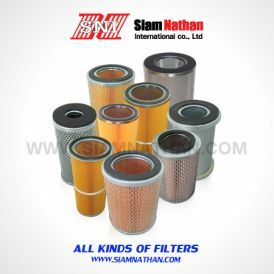 Most of these particles are so small in dimension, less than 5 micron, that they cannot be intercepted by the standard intake filters installed in the compressors. Such particles, mixed with water and oil vapors generated during compression, cause the early wear and tear of the appliances and consequently they are the cause of expensive interruptions of the production and remarkable increase the number of interventions for maintenance purposes. 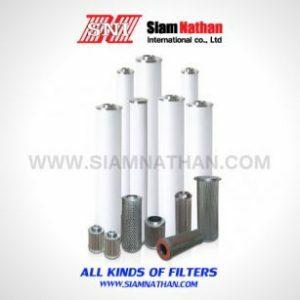 A right selection of filters will allow the best choice of the suitable equipment according to the quantity of air to be treated and the necessary filtration degree in order to increase and improve the performances of the whole system. 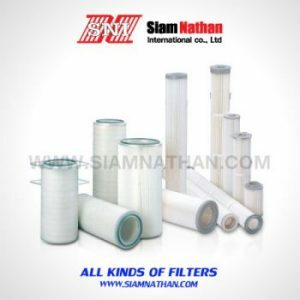 A filter elements, which is saturated and/or obstructed from impurities compromises the air’s quality and determines higher operation costs of the whole plant. 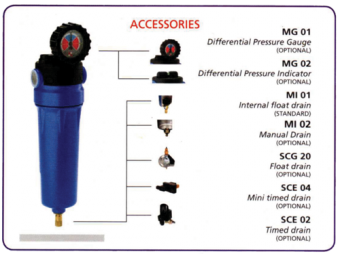 A pressure drop of 1 bar corresponds to a 15% higher energy consumption of the compressor reason of the compressor reason why it is strongly recommended to replace the filter element when the pressure drop reaches a value of 0.6 bar (9 psi). Safety: All equipments are manufactured, when applicable, according to the main European Directives like 87/404/EEC, 97/23/EC (PED). Upon request, they are available in the ASMEVIII-1 execution. Available in BSP and NPT executions. 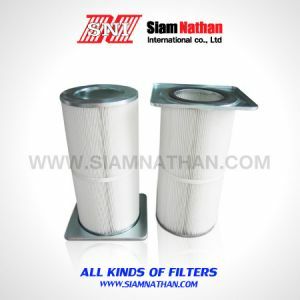 A protection on the filter’s coils are used for a friendly connection. Prevents housing being opened whilst in operation. A carefully designed bayonet connection is used on the filter. 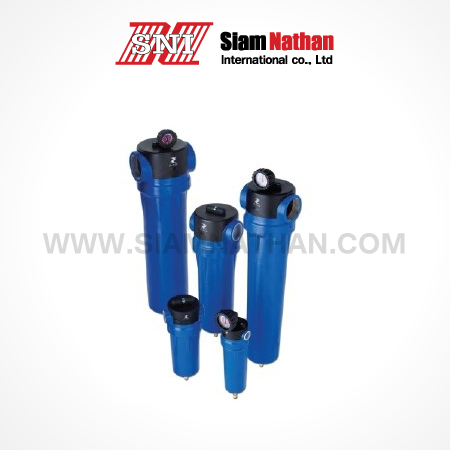 It guarantees easy and safe KLICK-ON fixing of the element, eliminates the need of the tie rod and the whole cross-sectional area is fully available. M-PLUS, the modern filter elements have large surface and deep bed filtration for producing high filtering efficiency with low pressure drop. 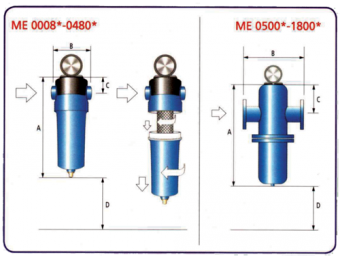 M-PLUS, filter elements are covered with polyester needle felt-drainage layers suitable for resisting server conditions such as high temperatures (up to 120 C) and synthetic oils.